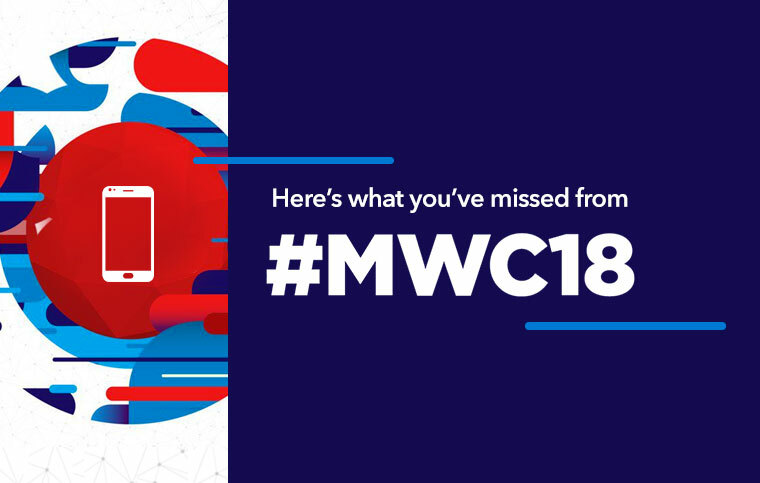 The Mobile world congress 2018 this year was in Barcelona Spain. The MWC 2018 was conducted through the last days of February to early March. This 4-day event showcased the best offerings from every manufacturer who wished to revolutionize the mobile market. From showcasing futuristic flagship designs to mid-level VFM products, the Mobile World Congress 2018 had it all. This post is not to run you through the itinerary of the 4-day event but is to show you the highlights in the smartphones space. After all, Byte is all about that. Samsung has always been active in the Mobile world congress and this is not limited to the MWC 2018. They have been releasing the best smartphones that will elevate the Samsung’s mobile offerings to another level. 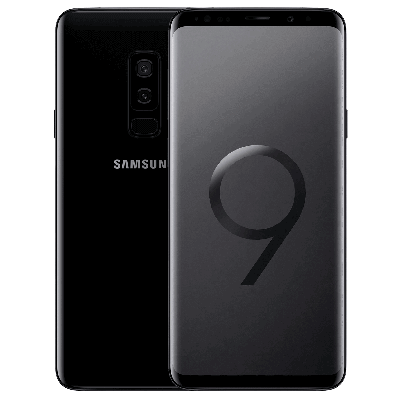 From showcasing a device with a bendable display unit to featuring a lens that will auto adjust its aperture and focal length, Samsung has always brought something new to the exhibition and this time they’ve introduced their flagships of 2018, the Samsung Galaxy S9 and S9 Plus. The Galaxy S9 will be featuring a bezel-less display (of course), 4GB RAM, a smart camera and a lot more. The Samsung Galaxy S9 price in India is currently at INR 57,900 and the S9 Plus is at 64,900. The only major difference between the S9 and the S9 Plus is the RAM and the screen size, the S9 Plus features a rather large 6.2-inch screen. Now this one looks classy and is smart too. The price too is very catchy. The Huawei Matebook X Pro is too good to be true, isn’t it? This premium Notebook has a 13.9-inch screen and running the show is an i7 processor mated with 8GB RAM and a 256GB hard disk. This will definitely throw the Airs and Pros behind. 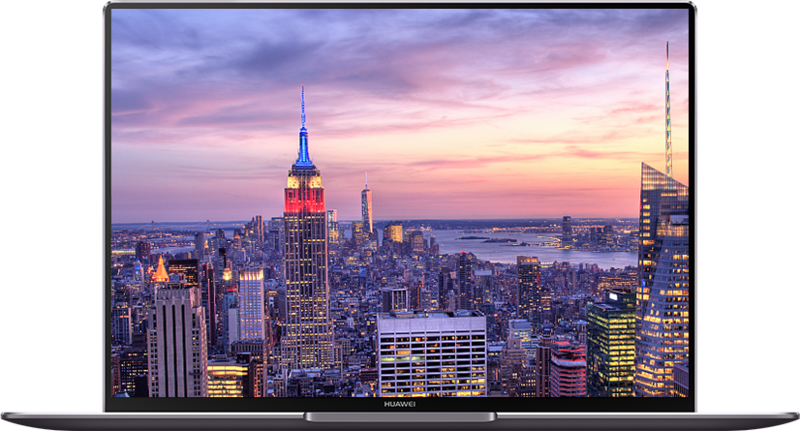 Not just in terms of price, the Huawei Matebook pro will leave the rest behind in terms of pricing. This premium laptop is priced at the higher end of the scale and is expected to cost nothing less than INR 1,04,500 upon launch. The Huawei MediaPad 5 is the new entrant in the tablets space from Huawei. With its stylish and robust Aluminium body and a classy looking Stylus, the MediaPad 5 is one hell of a looker. It stands out in the already crowded marketplace by getting the best specs to the user. 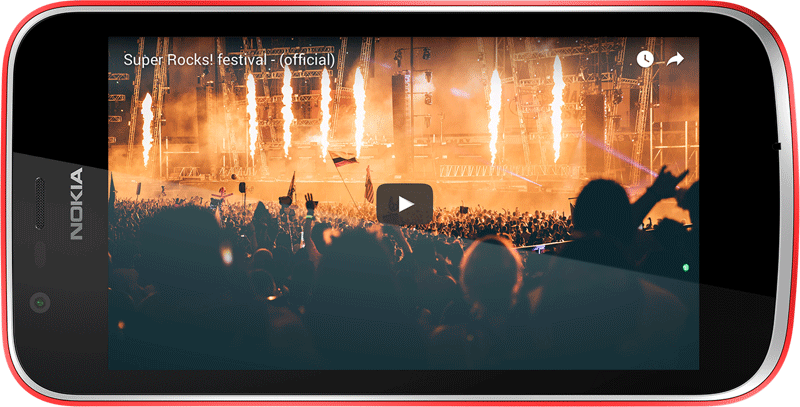 Running on the latest Android Oreo OS, the Huawei MediaPad 5 features a Kirin 960 processor, the same one that elevated the Huawei P10 to the pedestal of victory. There is a larger version of this too. Coming back, the Huawei MediaPad 5 price in India will tentatively be around INR 8500. This competitive pricing will allow Huawei Mobiles to ace the run in which Xiaomi seems to be dominating. The release date of the Huawei MediaPad 5 is unknown, for now. Is it safe to say that the Nokia 1 is the lowest priced phone to feature the Android Oreo. The Nokia 1 will be competing with the likes of the Redmi 4, Redmi 4A and a few other mobiles from manufacturers like Infocus, Cult, and Tenor. This Nokia upcoming Android mobile will be priced at INR 6000 and will surely steal the show with its Go operating system that is designed to be fast while being minimalistic. The Nokia 1 release date is speculated to be in the second quarter of 2018. Looks like Nokia releasing its odd-numbered variant in 2018 and the announcement of the launch of the Nokia 7 seconds this idea. The Nokia 7 is yet another upcoming mobile from the Nokia house and is surely a looker. The 18:9 aspect ratio holder has the specifications that will leave its audience stunned. Nokia 7 is the perfect product of looks mated with performance. The phone features 6-inch FHD screen along with a Qualcomm Snapdragon 660 processor that is aided by 4GB RAM. This mid-segment player will surely create some ripples with its competitive pricing and stunning specifications. The Nokia 7 price in India is speculated to be around INR 23,000 and at this price, it seems slightly over-priced. But, that wouldn’t be the reason to drive users away from it. Remember the time when Morpheus from Matrix answers his calls and they looked so cool? Well, Nokia sure did and that’s the reason why they’ve decided to bring back the Nokia 8100. The announcement of the Nokia 8110 in the Mobile World Congress 2018 has left Nokia fanboys in tears. Tears of Joy ladies and Gentlemen. The phone wouldn’t be a smartphone but would be smart enough to cater to your basic needs. Have you spotted the pattern yet? Every year, Nokia seems to be bringing back the nostalgia by getting back from the dead its predecessors, one soul at a time. The Nokia 8110 4G price and release date are unknown for now, it’s only a matter of time before they get their share of the limelight, isn’t it? The Sony Xperia XZ2 and the XZ2 Compact are new flagship phones from the house of Sony. This is Sony’s attempt to get back in the race it was once acing in. The XZ 2 and the XZ 2 Compact feature the 18:9 aspect ratio. The 2.8 GHz Octa-core processor, 4GB RAM, and a Snapdragon 845 processor make these upcoming Sony mobiles worth the wait. The Sony Xperia XZ2 price in India is 47,999 while the Sony Xperia XZ2 Compact price is at 45,999. The Sony Xperia XZ2 will be released on March 31st. So, if you’re looking to get yourself a flagship device this year, I suggest you wait a bit longer. The LG V30s ThinQ is the showstopper in this fashion walk held at the Mobile World Congress 2018, according to us. The phone features finesse and precision. The LG V30s looks better and works faster than its predecessor and is priced very competitively at INR 59,000. The phone will be featuring a built-in fingerprint scanner and that is something impressive. The LG V30s is a little late into this in Vivo, yet, is one of the few who has this. The phone will be featuring a Snapdragon 830 Octa-core processor along with 6GB RAM. The storage options provided look humongous with the 128GB and 256GB of storage it boasts of. ZTE mobiles are now becoming popular with their smartphones and the ZTE Blade V9 will do its bit in ZTE’s journey to success. The ZTE Blade V9 is priced at 20,000 mark and features impressive specifications and features. The only not so impressive feature we see is the presence of a non-removable battery. Which in today’s world have become non-existent. The phone under its hood features an impressive 1.8GHz Snapdragon 450 Octa-core processor, 3GB RAM, Android Oreo and, wait, what? Snapdragon 450? What were they thinking? At this price tag, the ZTE Blade V9 will have to pull wonders out of its hood to beat the rest with those numbers, isn’t it? 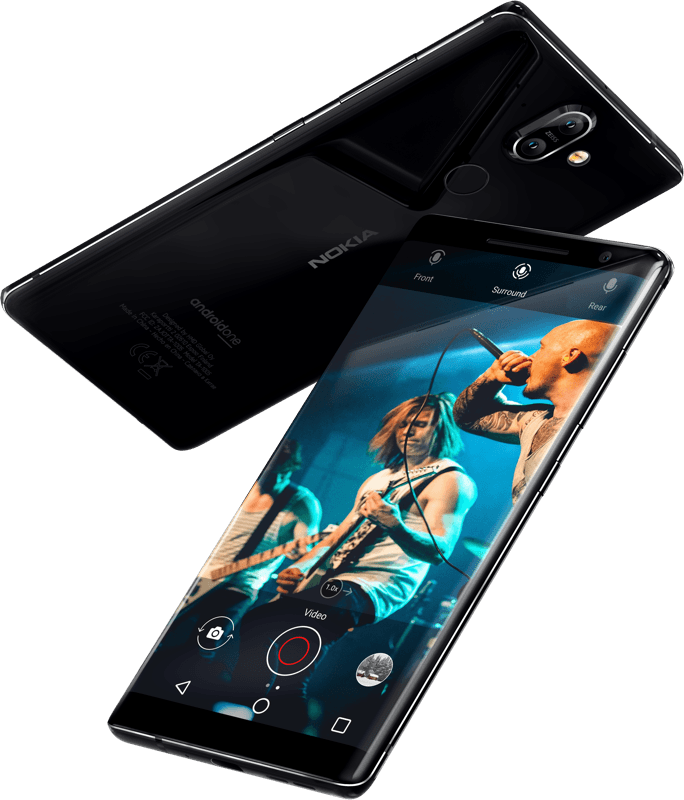 The Nokia 8 Sirocco is the new Flagship from the house of Nokia for 2018. Quickly diving into its specs, the Nokia 8 Sirocco features a Snapdragon 845 processor coupled with an Adreno 512 GPU. The built-in Android Oreo operating system and 6GB RAM give you a multi-tasking experience like nevear before. The Nokia 8 Sirocco is impressive in its camera department too, featuring a 12+12MP primary shooter and a 16MP secondary shooter, the phone is impressive. The Nokia 8 Sirocco price in India is speculated to be around INR 60,000 and at this price, it will be facing the makers of the S9, iPhone X, and the OnePlus 5t? Does it have what it takes? Let’s discuss that in another post, shall we? Until then, these were the main announcements in the Mobile World Congress 2018. If we’ve missed out something important, let us know in the comments section below. Previous article Samsung Galaxy S9 & S9 Plus: Is Apple iPhone X about to get it’s a*s kicked? Next article Quit cribbing about inflation! Here’s the best tech under 500.